If you want to enjoy the many benefits of having under cabinet lights in your Tampa, FL home, turn to us at 5 Star Electrical LLC. Whether they are in the kitchen or another room in your home, under cabinet lights provide much needed illumination while also creating an atmosphere of relaxation and warmth. If you want to enjoy the many benefits of having under cabinet lights in your home, but would rather not dedicate several weekends to their installation, turn to us at 5 Star Electrical LLC. We install under cabinet lights in the Tampa, Florida area and are known for our efficient, professional, and affordable service. 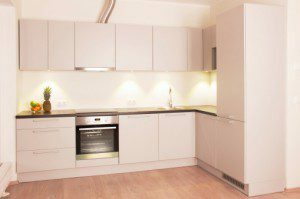 To ensure that you’re completely happy with your new under cabinet lights at the end of the installation process, we follow a specific process. When you contact us about installing under cabinet lights, the first thing we will do is take the time to understand why you want to install this type of lighting in your home and the purpose it will fulfill. Then, we’ll carefully inspect the installation area and get a better feel for what needs to be done to properly install the lighting. Finally, we’ll put up your new under cabinet lights and make sure that they work efficiently and effectively. All you have to do during this process is sit back and feel confident knowing that the installation job will be done right by our professionals. 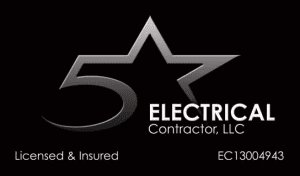 If you’re ready to enhance the aesthetics and functionality of your kitchen or another room in your home with new under cabinet lights, give us a call at 5 Star Electrical LLC. Thanks to our experience and commitment to quality, you can’t go wrong choosing us to handle the job.